Reading time: about 26 minutes. The MGB V8 has earned a reputation for being almost a blue-collar version of the Shelby Cobra, both cars share features including a stylish British body, an American-derived V8 engine mounted up front, rear wheel drive, and a power-to-weight ratio that was world-beating by 1960s standards. Of course, the MGB V8 wasn’t developed by Carroll Shelby but by British engineer Ken Costello, and the production versions of the MGB with the V8 upfront were only offered as tin top coupes – the MGB GT V8. In the decades that have passed since enthusiasts have learned that it’s not particularly difficult to install a Rover V8 into an MGB Roadster, and there are now countless thousands of them in the USA, Europe, and further afield in Australia, New Zealand, and South Africa. What the MGB offered, and still offers today, is a pure driving experience, in a car that the owner can pull apart, fix, modify, and generally tinker with to his/her heart’s content. In looking at an MGB V8 we need first to look at the history of the original MGB and how it got a V8 shoehorned into it in the first place, so we have an understanding of what to look for. The MGB was first conceived back in 1956, in those post World War II days when the British car industry was trying both to recover from the rigors of the war years and to re-define itself for the “modern” era. Britain needed her car industry to export or perish and the best market for her to aim at was the United States, which had not been ravaged by the war, and where there was a significant population of people with enough income to support a motor car: something that was not true of the British home market. It’s important to remember that these were austerity years in Britain and so car makers were not in a position to invest large sums of money into new technology, they needed to use tried and proven existing designs and technology to create marketable new products. 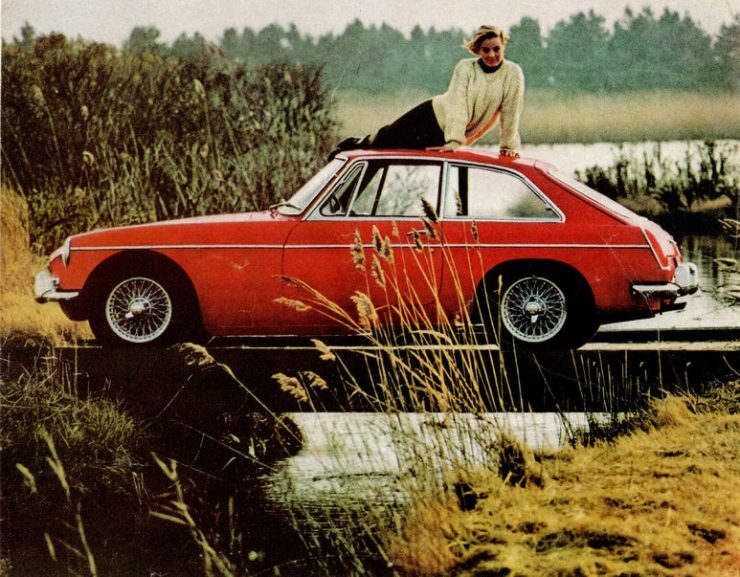 The MGB was a product of that scenario: made using conventional, existing, proven parts. This has been of great benefit to the MGB over the decades: it was built to last, it was built to be owner repairable, and it was built to be a fun car. These things added up to ensure that the MGB is probably the most common British enthusiast’s car on earth. 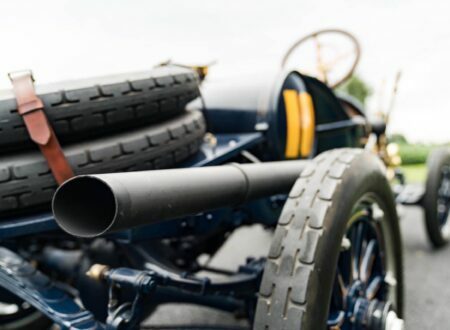 The name MG comes from the name of the original Morris Garages, which was the Morris retail sales and service center in Longwall Street, Oxford. Being a part of Morris Motors, MG was absorbed into the British Motor Corporation along with Morris, Austin, Wolseley, and Riley in 1952. The initial plan for the updated MG sports car was to base it on the existing MGA, however, the chassis and body design of the MGA was found to be too old fashioned for a new car and so the decision was made to build the new model using a monocoque/unibody construction, which would make the car lighter, with more luggage room, and which would fit with the move to monocoque construction for BMC’s other motor cars. As this was a new manufacturing method for BMC the MGB unibody was somewhat over-engineered, something which has helped these cars survive in significant numbers. The MGB was designed to be relatively luxurious by comparison with traditional British sports cars. By 1962 when the MGB made its debut, the management at BMC were aware that sports car buyers were not all looking for simple light and fast cars for racing or motor-sport, but wanted cars with creature comforts such as wind-up windows and a heater/demister. The MGB’s stable-mate, the Austin-Healey 3000 sports convertible Mark II, was also introduced in 1962 and it too sported wind-up side windows. Even at that stage BMC had high hopes for the MGB and it would be proposed as the successor of the Austin-Healey 3000 when that model was phased out in 1967. 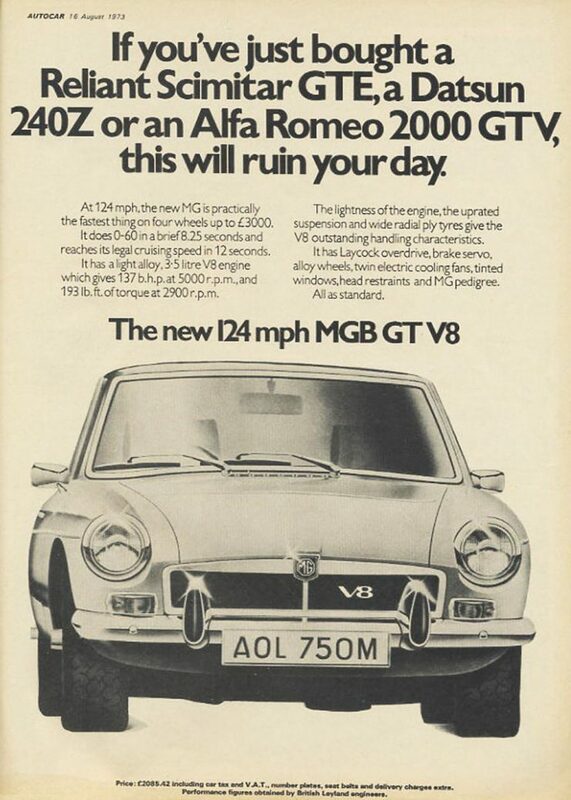 The MGB was not created as an entirely new car however. It inherited the same BMC B Series in-line four cylinder OHV engine and transmission of the MGA, but with the engine’s capacity increased to 1,798cc. 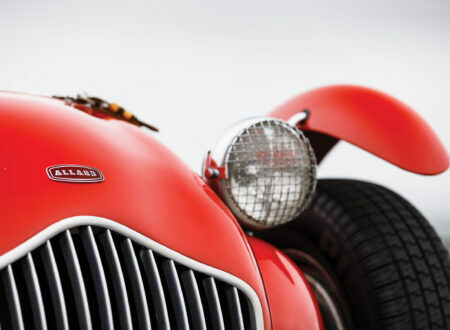 The front suspension was straight from the MGA, a double wishbone with coil springs design. For the rear suspension BMC’s engineers initially aimed to significantly improve on the MGA’s “banjo” live axle and semi-elliptic leaf springs design by switching to a new design using coil springs with trailing arms and a Panhard rod. This design promised to provide much improved location for the rear axle, something that would have been of great benefit when a V8 engine was later fitted to the car. However BMC engineers were unable to make the system work: in testing the prototype it was found that the trailing arms and Panhard rod system caused a torque steering effect, and that was counter productive to what the design team was trying to accomplish. Engineers scrapped the new system and reverted to the semi-elliptic leaf springs and live axle design of the MGA. So, other than the move to a monocoque body, the MGB was largely a revised MGA. The MGB was made in four distinct series, with BMC recognizing two. The first series of cars were made from 1962-1968 and had the three main bearing engine from the MGA but with a capacity of 1,798cc. These cars have the MGA four speed gearbox with synchromesh on the top three gears only and the old “banjo” rear axle. The Laycock De Normanville Type D overdrive was offered as an option up to 1967 when it was replaced with the Type LH overdrive. Brakes comprised 10.7” front discs and at the rear 10” drums. Servo assistance was optional, sports car enthusiasts of the 1950’s and 1960’s tended to prefer non-power assisted brakes for the better feel they gave: so if you purchase an MGB with non-power brakes be prepared for significant effort to be required on the brake pedal. 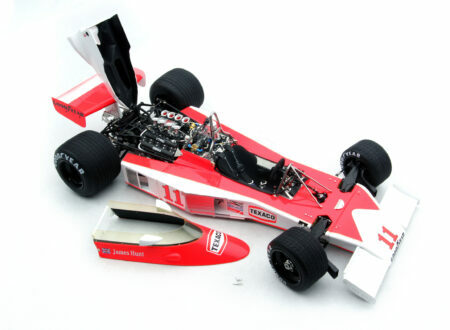 Suspension was independent with unequal wishbones and coil springs at the front, with an anti-roll bar and lever type shock absorbers forming part of the upper wishbone. At the rear was a live axle with semi-elliptic leaf springs and lever type shock absorbers. Steering was by rack and pinion with 2.9 turns lock to lock. The electrical system of this first series included a Lucas dynamo with two 6 volt batteries wired in series to provide a 12 volt system, positive earth. 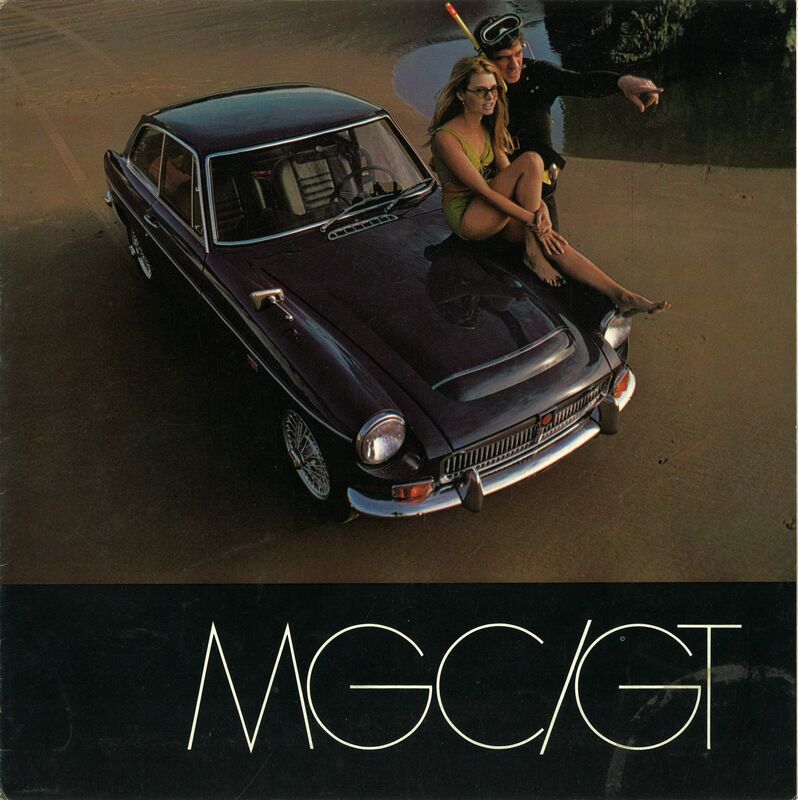 It was in 1965, during the production of these first series of cars, that the MGB GT body style was introduced. The second series of cars were made from 1967-1969 alongside the six cylinder MGC, whose 2,912 cc engine produced 145 bhp at 5,250 rpm. For the four cylinder MGB the main improvement was the move to a five main bearing crankshaft in the engine. The electrical system was upgraded to an alternator with a single 12 volt battery, negative earth, and reversing lamps were fitted to the rear valence panel. 1968 saw the cars being fitted with smog pumps to meet new US emissions standards. 1968 was also the year the old MGA gearbox was replaced with a new unit which had synchromesh on all four gears. This is especially important to those wanting a V8 engine as this gearbox was made for the 6 cylinder MGC and it is suitable for mating to a V8 engine. Not only was the gearbox upgraded but the rear axle was also, to the tube type Salisbury axle, which had a great reputation for strength and dependability, also a necessary item for a V8 engine car. Last but not least the braking system was upgraded to a dual circuit system. In 1969 the MGB was improved further with the fitting of head restraints to prevent whiplash injury in the case of the car being rear-ended. Three windscreen wipers replaced the original two, improving the swept area of the screen nicely, and the bumpers were fitted with prominent rubber over-riders, which were nicknamed “Sabrinas” after the British actress of the same name. 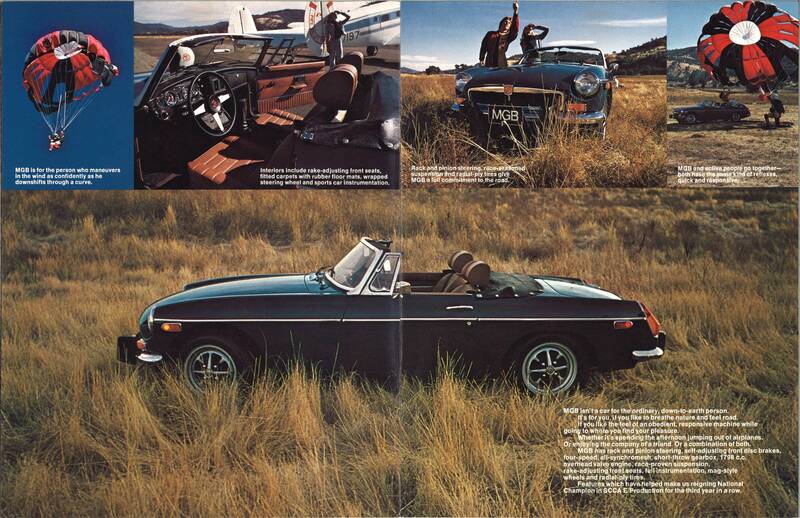 In 1974 the MGB was finally fitted with radial tires as standard equipment. 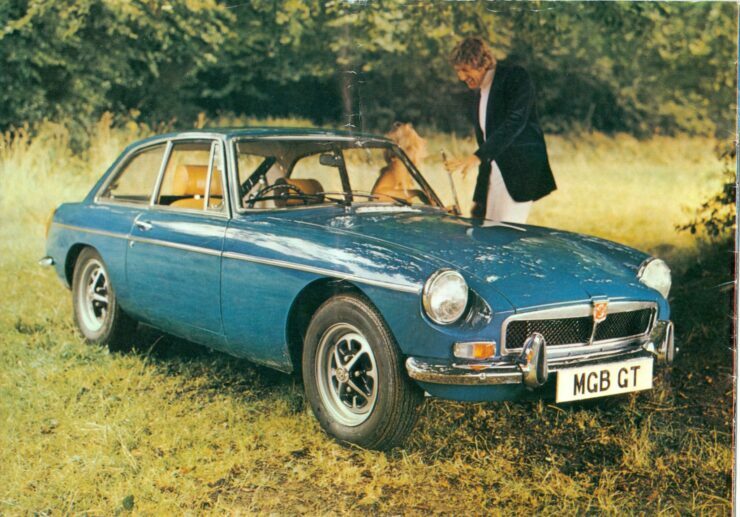 This version of the MGB was made until 1974. As BMC was subsumed into British Leyland Corporation in 1968 these cars wear British Leyland badges. 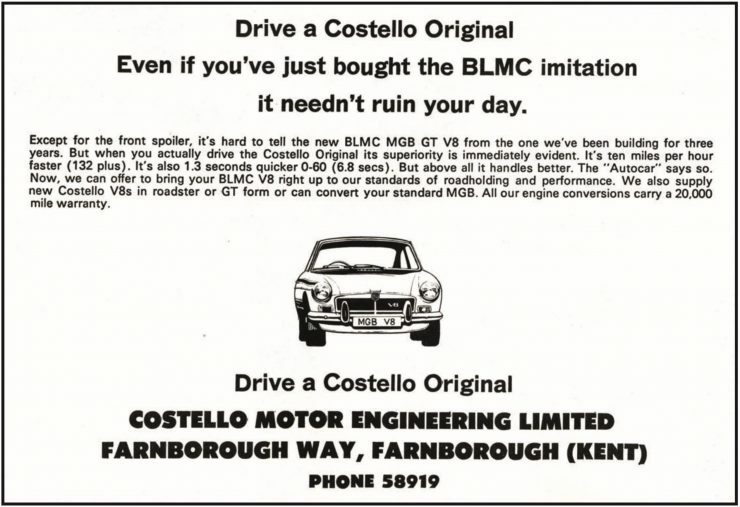 It was not British Leyland who pioneered the idea of shoehorning the alloy V8 engine into the MGB, it was a mechanic and racing driver named Ken Costello who ran a workshop called Costello Motor Engineering Company Ltd. located in Sidcup, Kent. Ken Costello was working as a racing driver for the movie “Grand Prix” at the Monza circuit and whilst there he visited the museum and was intrigued by a Maserati small-block V8 engine on display. His mind began working and he decided that the Buick/British Leyland alloy V8 engine was lighter than the original iron B Series four cylinder engines that were fitted in the MGB. That engine weighed 318lb, which was a full 40lb lighter. He then wondered if it could be installed into an MGB without too much extensive modification. Given that the gearbox and rear axle had been upgraded in the second series of four cylinder MGB’s to the same specification as the three liter MGC, the transmission was going to be able to withstand the forces imposed on it by an only slightly larger V8. On a visit to Piper’s Garage located in Hayes, Kent, Ken Costello came across a Rover V8 on the workshop floor and it got him thinking. 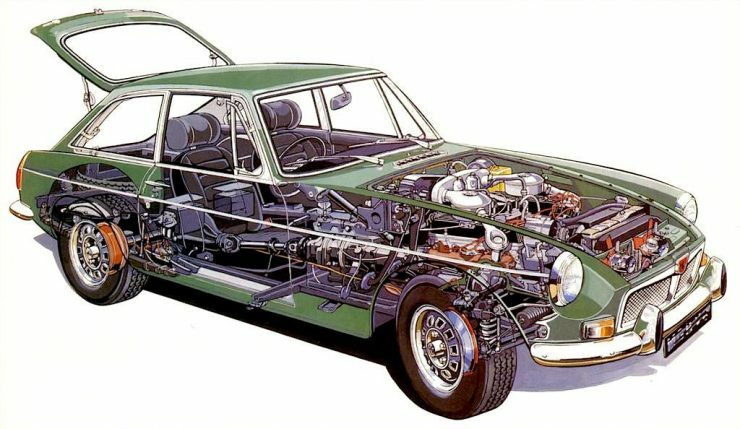 Over at British Leyland, management had thought of installing the V8 into an MGB, and engineering had been tasked with assessing the idea, but they had advised that it couldn’t be done without widening the MGB by 3.5 inches. There’s an old saying that if you say to yourself “It can’t be done” then your mind gives up and you won’t find a solution: but if you say to yourself “How can I?” then your mind gets to work on figuring out a solution. Ken Costello was not a “Can’t be done” sort of guy, he was a “How can I?” sort of guy and he figured out that the V8 engine could be installed into the existing MGB with little modification. He managed to borrow a nice red MGB from a trusting friend, and he acquired an Oldsmobile 215 aluminum V8 (which was based on the same Buick alloy V8 that British Leyland had acquired the rights to manufacture and were fitting in their Rover cars) and proceeded to engage in some creative engineering. It took six months of creative engineering to get the whole project complete but it became quickly obvious that this was a great idea. Out on the road that first MGB V8 was capable of standing to 60mph in rather less than 8 seconds and had a top speed of 130mph. Given that the gearing of the production Jaguar E-Type (XKE) gave it around the same top speed that made the Costello MGB V8 an amazingly affordable little motorway bullet. It also completely transformed the driving experience. 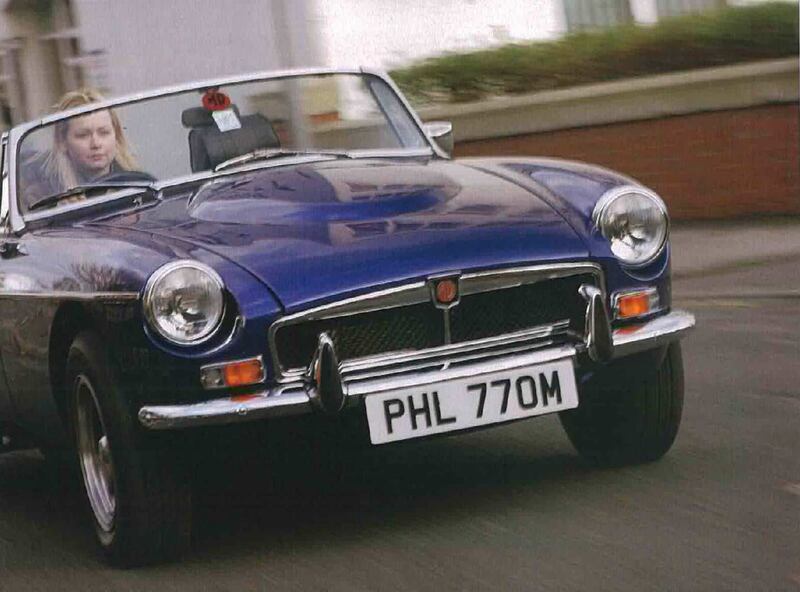 Ken Costello’s second conversion was done for Lady Peggy Cripps, owner of a local British Leyland dealership, and it was an MGB GT so it was the first MGB GT V8. With the conversion being such a success Ken Costello established a new company, the V8 Conversion Company, in the town of Farnborough. These Costello V8 MGB’s were given a range of improvements including Jensen alloy wheels, and can be recognized by their unique “egg box” radiator grille and “Costello V8” badge. The bonnet/hood has a bubble to accommodate the carburettors. Reviews of the Costello V8 soon appeared in the motoring press and by 1972 had come to the attention of management at British Leyland. They asked Ken Costello if he would loan them one of his cars so they could study it and after a while he obliged. Once British Leyland’s engineers had time to examine his car they asked him what he would do if they put the car into production to which he replied that it would take them a couple of years to accomplish that and he’d just keep making V8 conversions during that time. 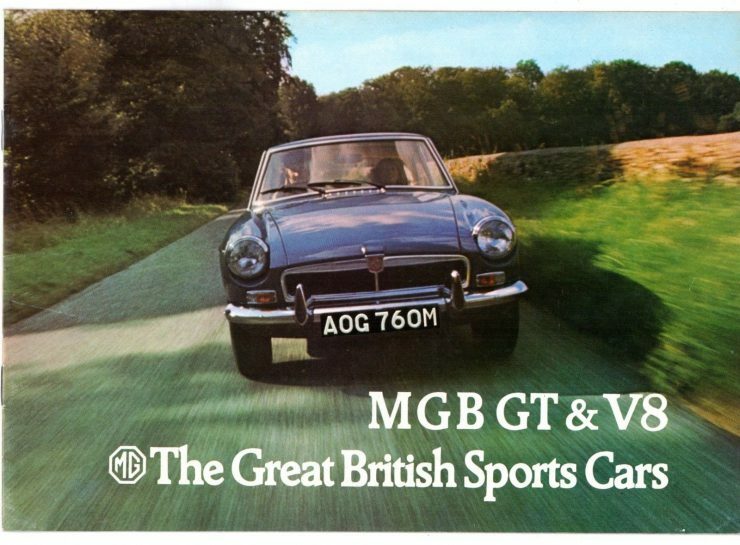 British Leyland did indeed put their version of the MGB GT V8 into production in 1973, and they attempted to cut off Ken Costello’s supply of engines. That of course had a detrimental effect on Ken Costello’s business (although he managed to source engines from elsewhere outside Britain). Ken Costello ultimately sold his once lucrative V8 Conversion Company and went on to create a quite brilliant design for a 5 speed gearbox. There were about 220 Costello V8’s made making this a quite rare and historic car. Ken Costello’s cars have more powerful engines than their British Leyland siblings, producing about 180bhp by comparison with the Leyland factory version which was detuned and produced power of 137bhp @ 5,000rpm and torque of 193 lb/ft @ 2,900rpm. British Leyland did not make a success of their version of the MGB GT V8 however and ceased production after making only 2,591 cars from start of production in 1973 until cessation in 1976. British Leyland made no effort to create a left-hand drive emissions control version for the US market. So, what could have been a real export earner was quietly scrapped. Instead British Leyland stuck with the four cylinder engine which was progressively encumbered by more emissions controls until the California version was down to producing 70bhp, half that of the V8. The reason for this seemingly illogical decision was because the Abingdon factory was barely able to turn out enough V8 engines to satisfy British domestic demand, let alone the huge US market. Added to that it was simply uneconomic to attempt to go through the onerous process of creating a special emissions controlled version for the US. The fourth series of MGB’s were made from 1974 until production of the MGB was ended in 1980. These cars were fitted with rubber bumpers made of polyurethane over a steel core, a collapsible steering column with steering geared down from 2.9 turns lock to lock, to 3.5 turns, and had their ride height increased by 1″ to meet US regulations. British Leyland even decided to omit the front anti-roll bar in 1975 as a cost cutting measure, which caused sufficient howls of discontent that they reverted to installing it in 1976. These rubber bumper cars deservedly acquired a reputation for being ugly and having compromised handling. However, these cars have body shells and transmissions that were made to be manufactured with either the four cylinder engine or the V8 as for a period the four cylinder and V8 were manufactured side by side. 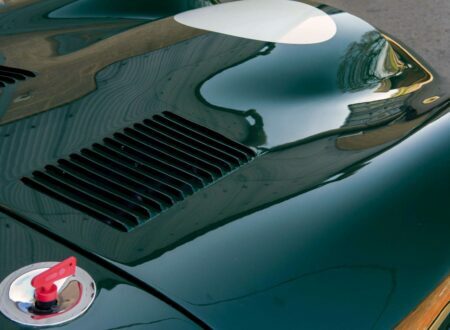 So the four cylinder cars lend themselves to the V8 installation and are ideal candidates for after-market conversion, removal of the rubber bumpers, and tweaking of the suspension to create one of the best of the post-war British sports cars. 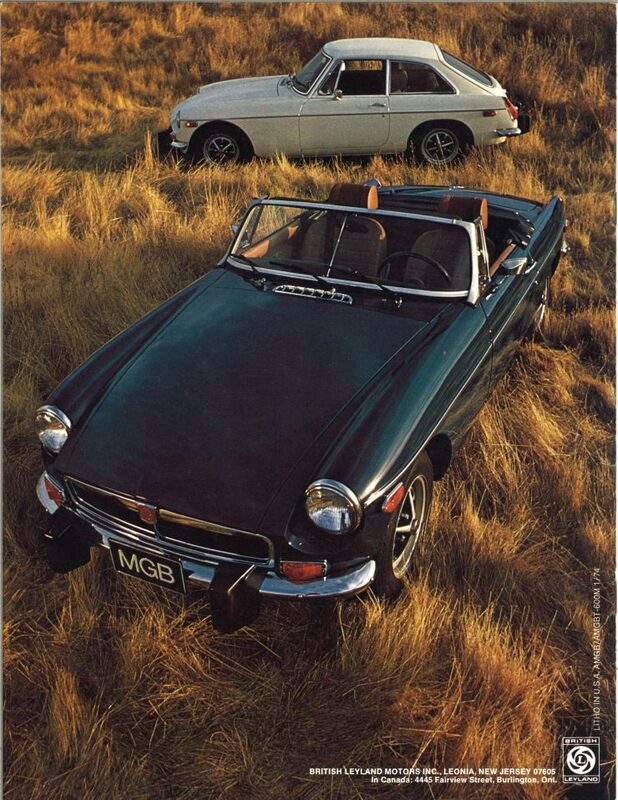 The MGB V8 was made in two styles, the original chrome bumper version, and the later rubber bumper version. British Leyland made both the MGB GT V8, which was for the home market, and the MGB with the four cylinder engine which was exported to the US market, using largely the same body and suspension. So although there was no need to raise the suspension height for the cars intended for the British and Australian markets, they were made to the same 1″ increased height as the cars for the US. Similarly when the American regulations required the use of the new rubber bumpers to comply with their 5mph impact regulations then all MGB’s be they for export or not were fitted with the same rubber bumpers. No doubt the rubber bumpers proved handy down in Australia where night drives on country roads can involve close encounters of the kangaroo and wombat kind. The version of the alloy V8 engine used in the MGB V8 GT was de-tuned by comparison with the versions used in Rover’s other passenger cars. This may have been done in deference to the transmission components, especially the Laycock electric overdrive. The engine fitted to the MGB GT V8 produced 137bhp @ 5,000rpm. this was still enough to ensure standing to 60mph times under 8 seconds and a top speed of 125mph. This de-tuned version of the engine was manufactured to be suitable for unleaded fuel. Despite the fact that the engine was de-tuned the MGB’s rear leaf springs had to be beefed up to cope with the power being delivered to them to prevent axle tramp. The original five-leaf setup was transformed into a stronger six-leaf suspension. This gave the V8 a firmer ride than its four cylinder sibling and tended to produce some skittishness in hard power-on cornering, especially if the suspension had to cope with bumps in the road surface. The ride quality of the MGB GT V8 was regarded as needlessly harsh by some reviewers, and the wind noise at high speeds was reported to be loud. 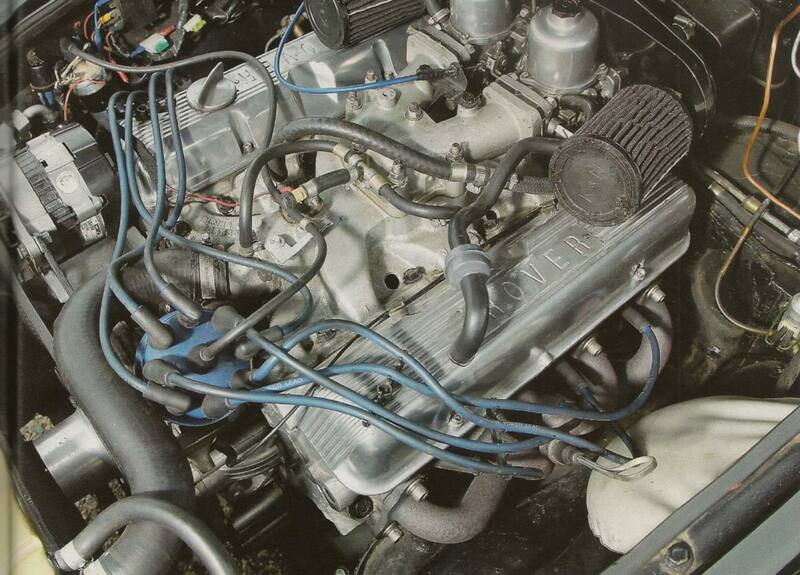 The MGB GT V8 engine was fitted with traditionally British twin SU HIF 6 carburettors with air cleaners designed so that no hood/bonnet bulge would be needed. The radiator was moved well forward but was a bit too small for the V8 engine so it was fitted with two electric fans to provide the necessary air flow to keep the motor cool in stop-start traffic. 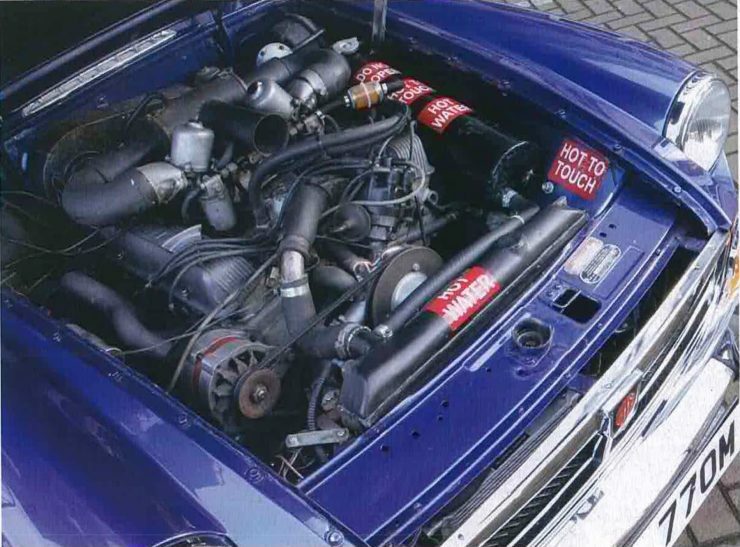 The V8 engine fitted to genuine British Leyland MGB GT V8’s and those to be found in converted cars such as those by Ken Costello cars will not necessarily be the same. When British Leyland purchased the rights to manufacture the Buick/Oldsmobile 215 alloy V8 they found they needed to make some changes to it to suit their manufacturing methods and workforce expertise. One of the modifications done was to re-design the block with reinforcing webbing. British Leyland intended to sand-cast the engine blocks as opposed to the die-cast methods used by the Americans. 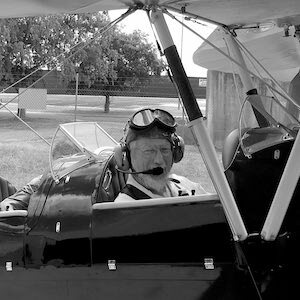 This made the British version of the engine significantly heavier, increasing its weight from 318lb/144kg to 374lb/170kg. Some converted cars will have genuine British Leyland engines: and some cars will have other versions such as the original Oldsmobile 215. These original American engines are typically lighter and more powerful, with outputs up to around 200bhp. British Leyland consulted with Ken Costello and had him create a sample car for them with his V8 conversion. 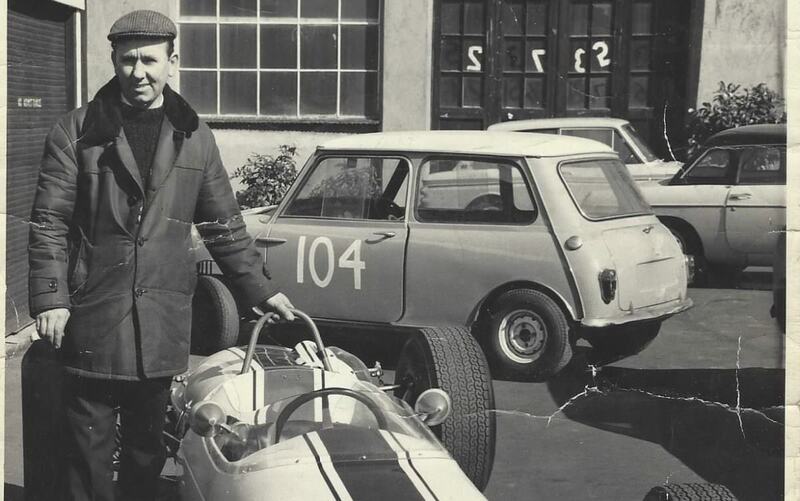 Once they had basically copied his engineering and put their own MGB GT V8 into production British Leyland then set about preventing Ken Costello from purchasing engines from them, presumably to drive him out of business. 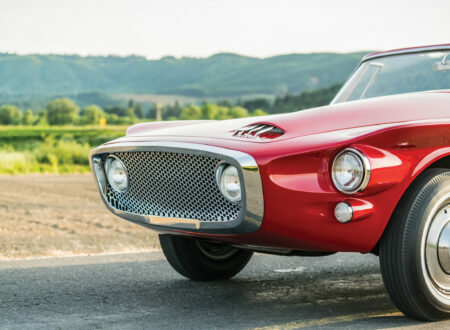 He sourced original American engines from overseas for his conversions, so V8 Costello cars will often be fitted with those lighter and more powerful engines. Whilst the V8 Costello conversions were of high quality those done by others may or may not exhibit the same level of expertise and quality control. 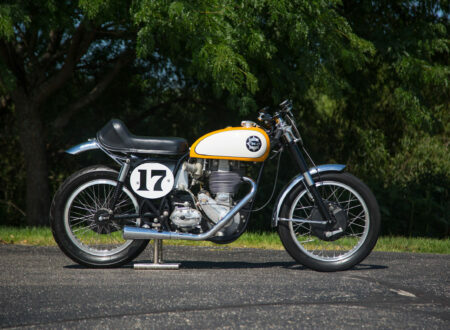 Ken Costello typically revised suspension and brakes in the V8 conversions he did, and he was a performance tuning specialist with significant race experience. Whether an MGB has a V8 engine or the four the most critical thing to assess when purchasing one is the condition of the monocoque/unibody. You should expect to find rust in a car with an original body, and the most critical area to assess are the sills and their inner central membrane. This area of the body is difficult to examine and it is preferably a job for an expert in this field. With over half a million MGB’s made a great many of them are still in active use the supply of parts for these cars is better than for pretty much any other classic car. Parts for rusted out sills are available, but fitting them is a job for a competent expert, not a willing amateur. Complete new body parts are being made and with much better rust-proofing than the originals. But a body-off restoration is a huge job requiring significant expertise and a lot of time. You need to check under the carpets for rust, in the battery bays, the front wings where they join the scuttle, inside the rear and front wings, and around and under the doors. Check the door drain holes are free and able to drain. Check the door gaps and opening and closing of the doors. One way to assess the structural stiffness of the car is to alternately jack up the front and then the rear of the car and check the opening and closing of the doors. If doors become stiff or pop open that is an indicator of the body bending, and indicates weakness. Check around the headlights for rust and accident damage. Check the boot/trunk floor for rust, also check for a fuel smell that might indicated leakage. 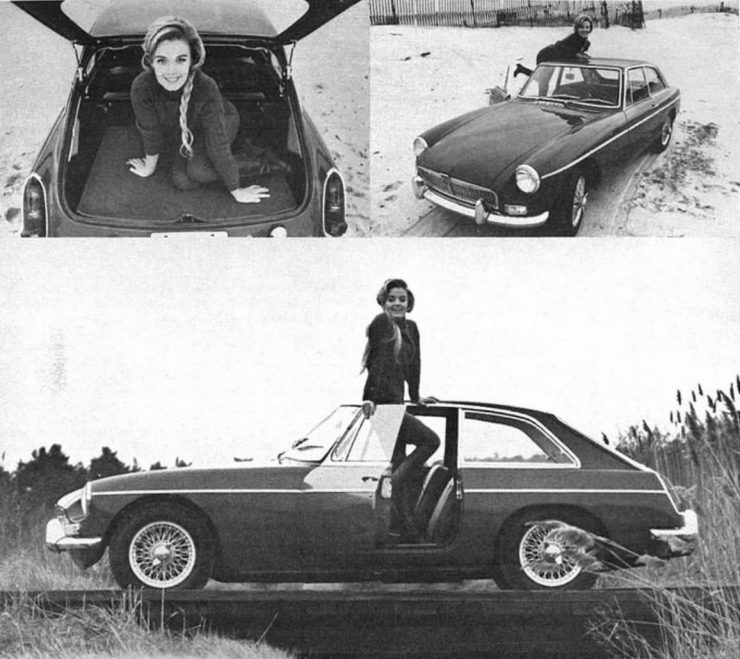 The early MGB’s had bonnet/hood and boot lid/trunk made of aluminum alloy. Because aluminum is more soft than steel these were more susceptible to damage. Additionally the aluminum alloy panels such as this require annealing if panel-beating is required. This alloy was used extensively in the British car industry and is the same one used for Land Rovers and Aston Martins: it is called Birmabright. If the car you are looking at has aluminum panels and a V8 engine then it is a conversion: all the factory MGB GT V8 cars have steel panels. One small item often overlooked is that the original factory made MGB GT V8’s only had the V8 badge on the nearside front wing panel, it was not repeated on the offside. So if the car you are looking at has the badges on both sides you will know there has been alteration, repair and/or re-spray work done, and the repairer did not realize that the badge only appears on the nearside. The MGB has a conventional suspension system that is owner repairable, and owner upgradeable. Looking at a car you are considering purchasing do the routine checks of the king pins and bushings. Check the shock absorbers: these may be the original lever type or they may have been replaced with telescopic ones. Check whether or not the car is fitted with a front anti-roll bar, remembering that this item was omitted in 1975 cars much to the chagrin of everyone except perhaps the accountants at British Leyland (and then only the ones who did not own 1975 MGB’s). The car may have had some suspension tweaks done including the fitting of a rear anti-roll bar. There are suspension upgrade kits which can be well worthwhile but do your research before choosing. There are also excellent modern suspension bushings available and, if the car you purchase has not yet been treated to these, you should make it one of the things you do. The steering should have not more than 1″ of play in the universal joint, and on the road there should be no sign of the car wandering. If there is then a steering overhaul is going to be necessary. Check the rubber gaiters on the steering are in good shape. If on a test drive you notice that there appears to be some rear-end torque steer when you apply significant power it may only mean that the U-bolts are worn, which is easily fixable. Check that the car does indeed have the correct six spring setup and not the five. The correct V8 six spring setup is rated for 550lb: the four cylinder cars had five spring sets rated at 400lb for early cars and 450lb for later ones. The brakes are conventional 10″ Girling discs at the front, and 10.5″ drums at the rear. Normal checks will be to look for any hydraulic fluid leaks, signs of scoring of the discs or drums, condition of pads/shoes. During the test drive the brakes should pull up straight and well, with no squeals or grinding sounds, and no spongy feeling in the brake pedal. The car may or may not have a brake servo, and it may or may not be original. Likewise the car may or may not be fitted with dual-circuit brakes. If it isn’t it is recommended that a dual-circuit system be fitted for a car that is going to be regularly driven or used in any sort of competition. The transmission of a V8 car needs special consideration, especially if the car has an after-market V8 conversion. The second car that Ken Costello converted to a V8 was owned by Lady Peggy Cripps, who was a British Leyland Dealer. That car was an early MGB GT with the old MGA type gearbox and “banjo” differential. Ken Costello made a point of replacing the old style differential with a much stronger Salisbury type as fitted to the later cars and the MGC. If a car you are looking at is an early model that has been fitted with a V8, or is one you are planning to convert to V8 power, then replacement of the gearbox and the old “banjo” differential are necessary. Perhaps the weakest link in the transmission is the Laycock electric overdrive which needs to be treated with some care even on cars with the later MGC gearbox and Salisbury rear axle, and even if the overdrive unit is in good working condition. The unit is quite sturdy, but should be treated with care when pushing V8 levels of torque through it. The earlier V8 models are normally fitted with an overdrive unit that operates on 3rd and 4th gears, the later unit as fitted to the rubber bumper cars operates on 4th gear only. The overdrive unit assists with the MGB GT V8’s fuel economy providing 29mph per 1,000rpm and fuel economy around 30mpg in highway use. 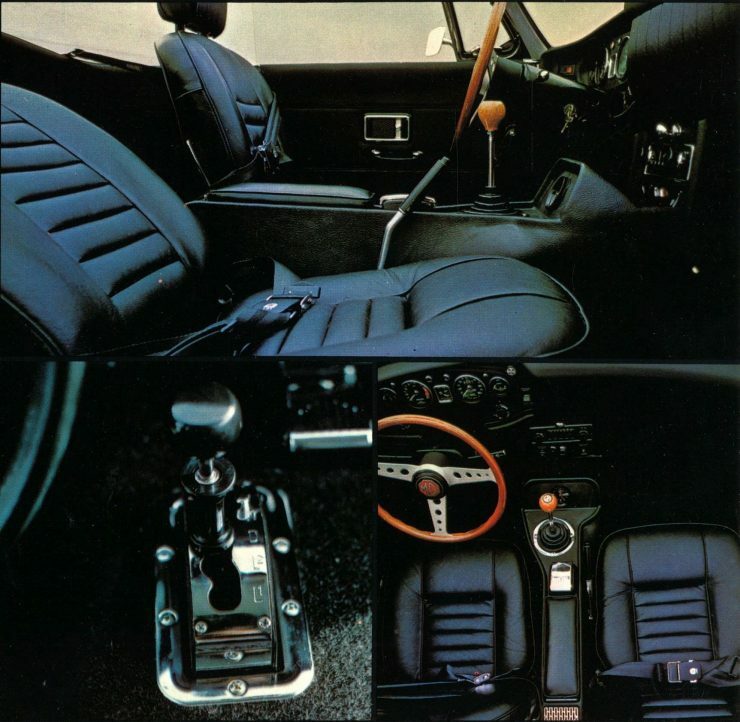 For the V8 models the overdrive control should be a stalk on the steering column although there was an earlier overdrive control on the gear-lever, which you may come across on after-market conversion cars. Many people convert the four speed gearbox to a Rover 5-speed from the SD1 and this tends to be much more satisfactory unit. The Rover clutch and 5-speed gearbox were designed for the V8 engine and that gearbox is made with an oil pump as part of its design to cope with the torque of the V8 engine. Normal checks on the transmission include taking the car for a test drive and working through the gears. On most cars any weakness in the gearbox will manifest itself in changing down into second gear. Any crunching or difficulty in engaging second on the over-run will indicate gearbox wear and need for overhaul. If the gear pops out on the over-run the condition is pretty bad. Gearbox overhauls are able to be done most and parts are obtainable, although the laygear has apparently become hard to get. Check the clutch engages smoothly and does not slip. When driving the car listen for knocks from the transmission, universal joints etc. Check the prop-shaft and universal joints for play when inspecting under the car. The V8 engine runs at much lower oil pressure than the four cylinder. Oil pressure for the four cylinder should be at 50psi @ 50mph(80km/hr). Normal oil pressure for the V8 is 30-40psi. On idle at about 550rpm expect to see the oil pressure drop down to as low as 20psi. The V8 uses a low pressure system so this is within normal parameters. Other than that the normal checks on an engine involve looking for oil leaks from old and tired seals, blue smoke indicating worn rings etc. and knocks or unusual noises. The V8 engine uses the hydraulic tappets common in American engines: these may make a brief noise on start-up but should become very quiet quickly as oil pressure gets to operating levels. A cylinder leakage test/compression test are worthwhile. With any engine with alloy components it is essential that the cooling system has been filled with the correct corrosion inhibitor/anti-freeze coolant. If plain water has been used expect corrosion damage. Check the coolant for milky deposits which indicate oil leaking into the coolant. Similarly check the engine oil for signs of coolant leaking into the oil. Check operation of the heater/demister. A common fault is jamming of the heater control tap caused by corrosion. Last but not least, if you need to get the exhaust system replaced make sure you get it done by someone who is a specialist with this car and engine. The new system must line up perfectly with the manifolds. If the fitter uses some force to pull the exhaust pipes in to make them line up the pressure placed on the system will run the risk of cracking the cast iron manifold flanges. The electrical system of the car is likely to be very old if it hasn’t been re-done in recent years. Make sure all electric accessories and peripherals are working properly. British Leyland were known for cutting corners so beware of potentially inadequate alternators in early cars. For a car you want to fully enjoy a full re-wiring may be necessary. Ensure you get as complete a service record as you can. Make sure the car is licensed. If it has an after-market conversion you are advised to get a professional engineer’s report on that conversion work to ensure it meets the licensing standards of the jurisdiction you plant to register it in. This is especially important in Australia where state to state regulations vary and transferring a car from one state to another can cause unforeseen problems. The v8register.net is an excellent source of information, and the perhaps the best book to read for those contemplating doing a V8 conversion is “How to Give Your MGB V8 Power” by Roger Williams. The MGB V8 was sometimes referred to as “The poor man’s E-Type” because it offered a lot of performance for not a lot of money. In performance terms it is probably more like the Jaguar XK120, 140 and 150 than it is like the E-Type (XKE) as the MGB V8 rear suspension is a live axle/leaf spring arrangement whereas the E-Type is fully independent with in-board disc brakes for low unsprung weight. But that being said the MGB V8 offers a driving experience that is just enormously enjoyable. The V8 engine transforms the hard sounding four cylinder which requires the driver to use the gearbox wisely into a smooth elegant sufficiency of power on demand driving experience. At speed expect plenty of wind noise, but this car is not offering a “magic carpet ride” of a Bentley, it is more like MG’s answer to the AC Cobra: a car that lets you know about every bump in the road, more like the sports car you bought because you love riding motorcycles. Editor’s Note: If you have tips, suggestions, or hard earned experience that you’d like to add to this buying guide please shoot us an email. We’re always looking to add to our guides, and your hard-earned experience and advice could be very helpful to other enthusiasts. 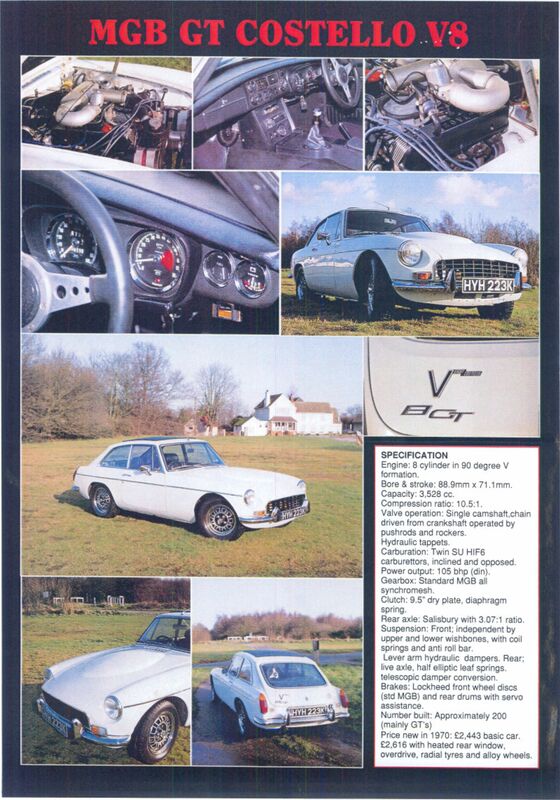 Editor’s Note 2: Some of the images in this article feature MGBs with engines other than the Rover V8, due to the difficulty in sourcing period imagery of MGB V8s.